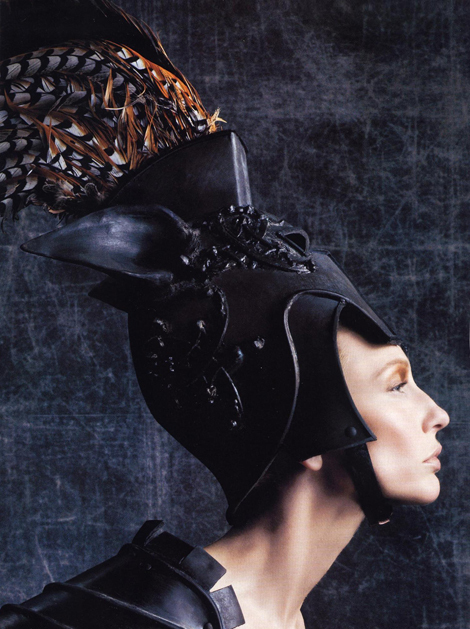 ... cate blanchett. i will always love this image of her. 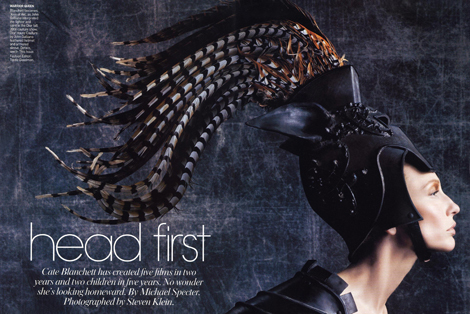 the feathered helmet by john galliano / dior haute couture is simply stunning. and cate pulls this off flawlessly. reminds me of Nefertiti's head statue.